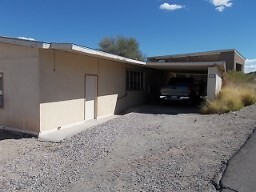 This 3Bd/2 Ba has a RV covered parking port as well as a carport. The house has been nicely redone and stuccoed. The kitchen appliances are copper. 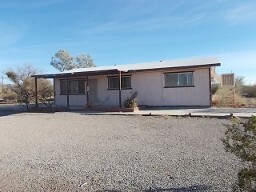 This is a 2 bedroom/1 bath with a covered patio, It is completely furnished and ready for occupancy. 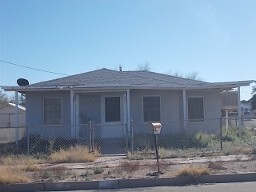 This 2 Bd/2 Ba house is on a corner lot. It is fenced, has a detached garage and a cooler. It needs TLC. 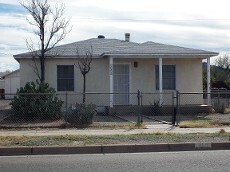 This 3 Bd/1 Ba has a large added-on family/game room. It also has a large workshop in the back. All on 1 acre.